Cycling Sports Group of Wilton, Conn., is recalling about 1,240 GT mountain bicycles sold in the U.S. and Canada. The handlebars can crack, posing a fall hazard to the rider. No incidents or injuries are reported. This recall involves model year 2017 GT mountain bicycle models: Karakoram Sport, Karakoram Comp, Aggressor Sport, Aggressor Comp and Aggressor Expert. The bikes were sold in a variety of colors including, black, blue, gunmetal grey and neon yellow. Only models with 1) a solid black GT logo on the downtube and 2) a stem marked “Ø31.8 9-10N.m” are included in the recall. 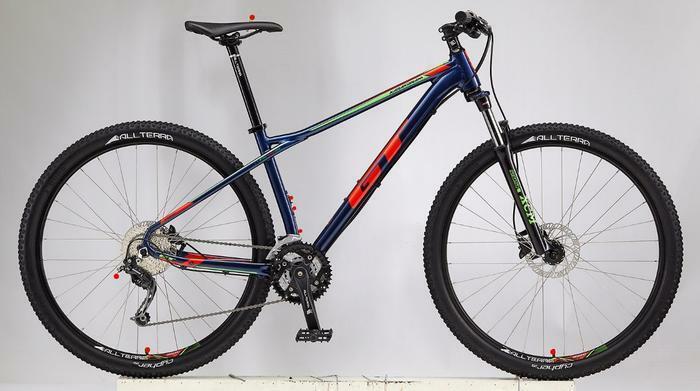 For a complete list of GT Mountain bicycles included in this recall, visit the firm’s website at http://www.gtbicycles.com/usa_en/recalls/. The bicycles, manufactured in Taiwan, were sold at bicycle stores nationwide from June 2016, to August 2017, for between $440 and $800. Consumers may contact Cycling Sports Group at 800-726-2453 from 9 a.m. to 6 p.m. (ET) Monday through Friday, or by email at custserve@cyclingsportsgroup.com.